We seek to be faithful to that history and heritage as we respond in a wholistic way to our call to live the Christian life..through vibrant worship, risk-taking service, generous giving, and welcoming hospitality. We welcome persons from all stations of life… and extend the invitation to all to come as you are in the knowledge that God accepts you and loves you too much to leave you without the spiritual food you need. WE BELIEVE in one God, who created the world and all that is in it. We believe that God is sovereign; that is, God is the ruler of the universe. We believe that God is loving. We can experience God's love and grace. WE BELIEVE that Jesus was human. He lived as a man and died when he was crucified. We believe that Jesus is divine. He is the Son of God. We believe that God raised Jesus from the dead and that the risen Christ lives today. We believe that Jesus is our Savior. In Christ, we receive abundant life and forgiveness of sins. We believe that Jesus is our Lord and that we are called to pattern our lives after his. WE BELIEVE that God created human beings in God's image. We believe that humans can choose to accept or reject a relationship with God. We believe that all humans need to be in relationship with God in order to be fully human. WE BELIEVE that the church is the body of Christ, an extension of Christ's life and ministry in the world today. We believe that the mission of the church is to make disciples of Jesus Christ for the transformation of the world. We believe that the church is "the communion of saints," a community made up of all past, present and future disciples of Christ. We believe that the church is called to worship God and to support those who participate in its life as they grow in faith. 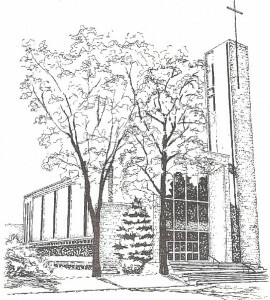 In the years just after World War II, a group of forward-thinking Methodists here in Bloomington-Normal took the bold step of combining two mid-sized congregations to start a new larger church which would be centrally located in downtown Bloomington. This church, they envisioned, would draw people from throughout Bloomington-Normal and the surrounding areas, and would be a powerful presence in serving the needs of people both locally and around world in the name of Jesus Christ. Our ancestors envisioned that this new church would embody the best of United Methodist values. Among these values would be a commitment to living out a Christian faith that is both spiritually alive and intellectually responsible, a faith that is centered on both a personal relationship with God and a commitment to serve those in need; a faith steeped in the recognition that when it comes to the deep things of God, all of us have more to learn and opportunities to grow at every stage of our life. 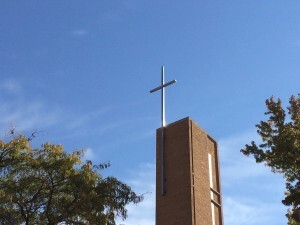 Today that church, Wesley United Methodist Church, continues this proud history, and seeks to be faithful to our calling of providing ministry at the highest levels of effectiveness.